With the fully support of latest techniques and innovative machine, we are engaged in offering a broad gamut of Drinking Water Packing Machine to our clients. This packing machine is demanded widely for its unique attributes all over the world. Our range is designed and developed using quality raw material by our team of qualified professionals. 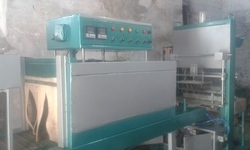 This machine is generally used for packaging drinking water for consumption. 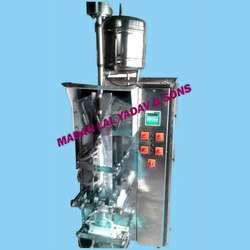 We are among the prominent players in the industry for manufacturing and supplying Automatic Liquid Packing Machine. The offered machine is made in tune with the latest generation techniques and is exceptional in terms of speed. It is used for the packing beverages in the food processing industry. This machine is operated automatically and is user-friendly as well. Web sealer or Pet bottle cartoon packing machine, shrink wrapping machine widely used for all tyes of bottle packing machines.. we manufacture our own.. Looking for Drinking Water Packing Machine ?